The beauty of veneer is the high quality wood grain appearance that provides you with the most natural aesthetics. Each piece is completely unique, because it is cut from the actual logs. Not only does this allow you an amazing modern appearance, but also you can achieve a more vintage, timeless, or antique look. Normally, better quality veneers are used for doors, because customers want the best looking doors they can possibly get. Door grade veneer comes in a few distinct grades. Rotary Cut Veneer – Created by spinning the log and peeling off sheets, almost like unrolling a roll of toilet paper, rotary cut veneer is the most common type of veneer. The advantage of this type of veneer is that it results in one continuous sheet. It is a very cost effective way of producing veneer, but it results in a very unpredictable grain pattern. Plain Sliced or Flat Cut Veneer – This is the second most common cut. In this method, thin layers are sliced one at a time along the width of the log. The slices, which are also called leaves, because the blade works its way from the top of the log to the bottom, there is a gradual transition in the grain pattern. This method of cutting parallel to the growth rings results in a V-shaped pattern that is often seen on sheets of plywood. Rift Cut Veneer – Another interesting method is the rift cut process, which allows for a more straight-grained look. In this method the log is quartered, then cut perpendicular to the grain in repeating arches. The advantage to this is that you get a relatively uniform grain appearance. 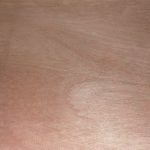 The disadvantage to rift sawn veneer is that it costs more, because the process is more time consuming. 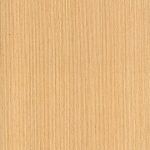 Quarter Sliced Veneer – This type of veneer is also sometimes called quarter cut or quarter sawn veneer. This cut is often specified when the customer wants an exceptionally straight grain appearance. First, the log is quartered, which allows each quarter to be sliced perpendicular to the growth rings. Since leaves are cut more narrowly than plain sliced, they are much more easily lined up with other leaves, allowing for superior uniformity. Despite it’s vast advantages, this method requires a larger log diameter compared to the alternative methods. This method also achieves a sort of flaking appearance, created when the veneer knife bisects medullary rays in the tree. No matter what cut of veneer is applied, without proper veneer matching, your project will not turn out as expected. Veneer matching is a true art form. The job of matching veneer is a precise job that requires a detailed approach. The appearance is partially determined by how the veneer slices are lined up on the doors. Book Match Veneer – Every other veneer leaf is turned over, like the pages of a book. With this method, the veneer will be mirrored between each consecutive two leaf section, resulting in a repeating series of symmetrical patterns. This method is preferred by many, because of the continuity of grain. This method produces both ascending and descending prominent characteristics of the grain. 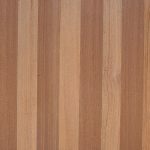 Not all cuts of veneer can be used with the Book Matching method, however, but plain, quarter, or rift sliced veneers can all be used for this purpose. This book end formation tends to reflect light and accept stains differently. With this method there is also potential for wide color variation, known as “barber pole” in some species or flitches. Despite these variations, they are still considered desirable. Random Match Veneer – This method produces a more chaotic appearance, because pieces are generally unmatched, as if the applicator has taken a series of boards and lined them up on the surface of the door. This produces a more old fashioned look, as something that was perhaps built before modern methods of veneer were invented. With this method, there is often a deliberate method to reduce grain consistency. Continuous Match Veneer – This is when the pieces of veneer are used for both the door and the transom, allowing for a very consistent look between the door and the transom. 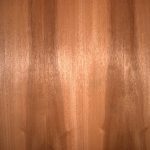 End Match Veneer – This is generally selected for doors with transoms. This match uses a single piece of veneer that runs from the bottom to the top of the door. Veneer can be turned turned at the joint to achieve this appearance. 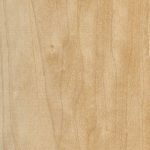 Slip Match Veneer – This is one of the quickest methods of matching veneer, but requires higher quality veneer that is fairly uniform in appearance. Sheets are slipped out on the the surface one after the other, creating a wave of repeating patterns. Some frown on this method, because of the abrupt joints. 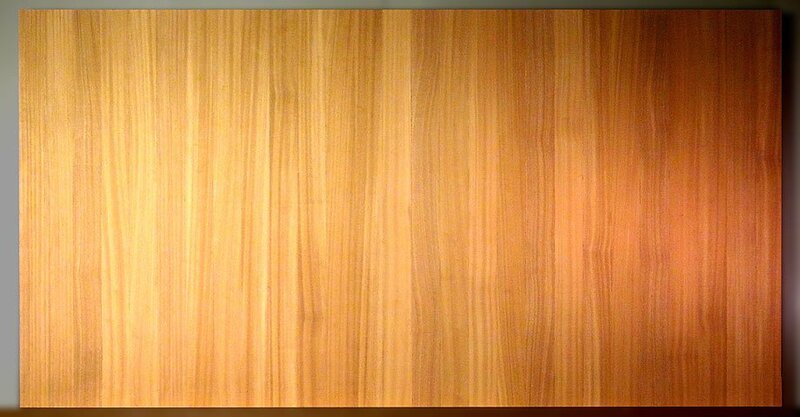 This differs from book match veneer in that book match is better at hiding the joints. Uniformity of color is superior in this method, because each piece has a similar level of light refraction. It also allows for a relatively straight grain pattern. Because wood is an organic product, each piece has its own characteristics. There is a vast array of grain patterns and formations, which can vary among trees and different flitches. Because of that, some trees may not meet standards. Other trees may considered of exceptional quality. Prices may also vary depending on the quality and appearance of the veneer. 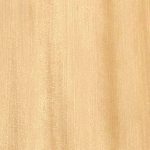 Because of variations in natural grain of each tree and differences in cuts, you can experience amazingly unique grain, pattern, and color, for each leaf of veneer, which translates into an an unlimited variations in door appearances. In all cases, the natural wood quality will improve and compliment design elements, especially if the wood is applied in its natural state, unfettered by paints and enamels which might hinder the actual beauty of the wood. Some species, like maple and birch can show a wide variety of color ranges. When it comes to maple and birch unlimited amounts of sapwood and heartwood, large portions may be unusable, because of unacceptable color. Sapwood lighter in color, while heartwood is darker in color. There is also the issue with light, dark, and color streaks, spots, and color variation that results from mixing sapwood with heartwood. If these sorts of variants in color and grain are not desired by you or your customers, veneer must be selected accordingly. 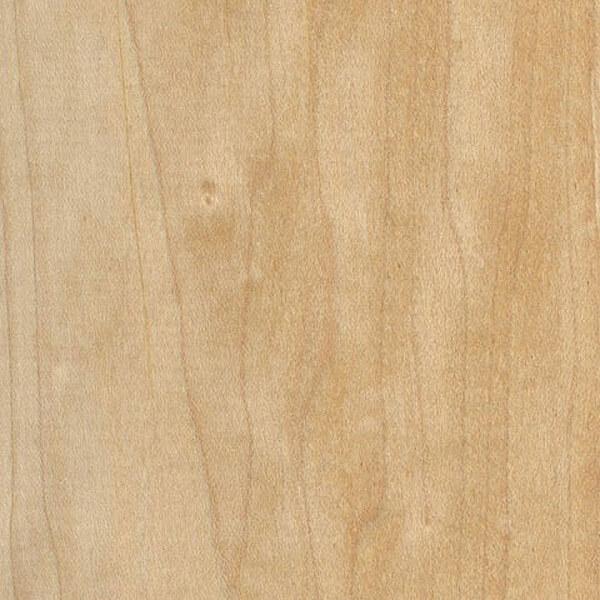 If lighter shades of veneer are desired, you must specify sapwood maple or birch. If darker shades are required, you should select heartwood, however, this type is often limited in supply. * = Professional veneering can be very tricky. If you are getting substrate from Sing Core and having your millwork (or someone else) apply the veneer, be certain to affirm that they have the expertise to apply the veneer appropriately. We use the highest level of professional veneer professional and techniques. We can guarantee our veneering, if you have veneering done off-site, it is their responsibility to do it correctly. A faulty veneer could jeopardize your Sing warranty. 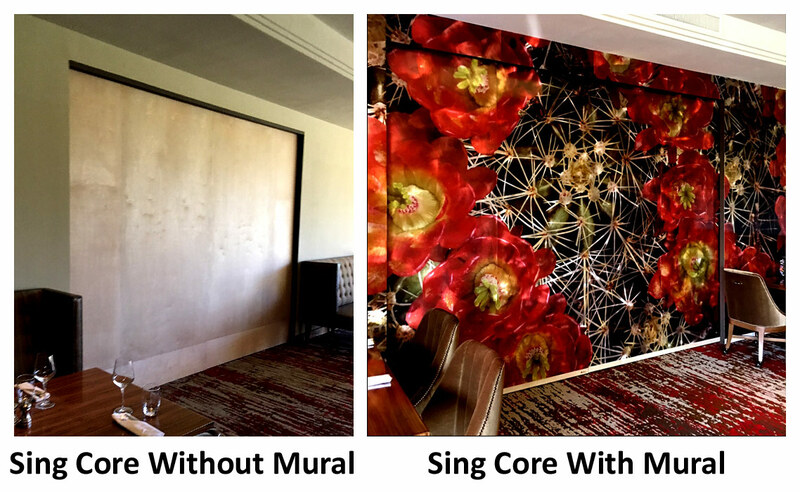 Our doors make an exceptional surface for applying murals, canvases, or printed wraps and images. This is an excellent way to make an otherwise standard looking door, beautiful and vibrant. Other: Anything you can imagine can be printed Sing Core doors as long as you have high quality electronic images and graphic files. We start with a smooth tempered board or Medium Density Overlay (MDO) for a best quality finish, or select a wood veneer or paint grade option for your highest quality finishes. This is only limited by your imagination!